Are you considering buying (or Selling) a home in South Simcoe? Perhaps in Alliston, Beeton, Tottenham, Cookstown, Bond Head, Everett, Rosemont, Angus, Lisle, Glencairn or any other of the many rural communities north of the GTA, Call me, Chris Smith @ 1.866.936.3500 for information and assistance in helping achieving your Real Estate Goals. 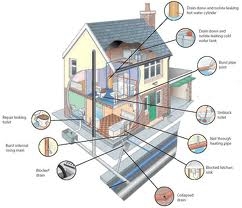 The foundation of the home is inspected along with the floors, walls, ceilings, columns and roofs for any visual defects. 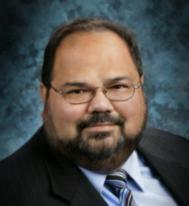 We look for any structural problems and alert you if anything is noted. The exterior walls of the home are inspected along with the flashings, trim, entry doors, windows, garage doors, decks, balconies, eaves, soffits and fascias. The vegetation, grading, drainage, driveways, patios, walkways and retaining walls and how they affect the condition of the building are evaluated. Exterior defects are noted and reported in a Home Inspection. 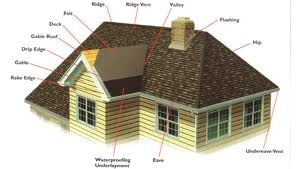 The roof covering, roof drainage, flashings, skylights, chimneys and roof penetrations are checked for any signs of leaks or abnormal condensation on the building. A newly painted home hides these defects so we look harder to find them. The interior water supply and distribution system consists of different pipe materials along with the fixtures, faucets, traps, hot water tanks, valves, chimneys, flues, venting and sump pumps. In a Home Inspection, We check not only for general leaks but also micro leaks usually found around shut off valves that can effect the grounding of metal pipes to the service panel. Is the house wired with copper or aluminum? What is the condition of the service panel, grounding, lighting fixtures, switches and receptacles inside the house, garage and exterior? Are GFCI outlets present in the kitchen, bathrooms, garage and exterior and are they wired correctly and work? What type of heating system is present? Do the operating and safety controls, chimneys, flues, vents and fans all work. Does the distribution system work properly so that all of the rooms are heated adequately? The split temperature of the return air and the cold air at the registers is an important item to check. 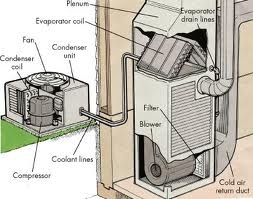 This can indicate if the system could be low on Freon or even if the AC works at all. The fan, pumps, ducts, registers, air filter and fan coils are all-important in an effective system and their needs to be a register in every living space. Is there evidence of ceiling, wall or floor cracking indicating an unstable foundation or slab? A Home Inspector will look to see if the interior walls are cracked where the interior walls attach to the exterior walls indicating a floating slab. A Home Inspection will also evaluate the conditions of the counters, stairs, balconies, cabinets, doors and windows. What type of insulation is used in the unfinished spaces? 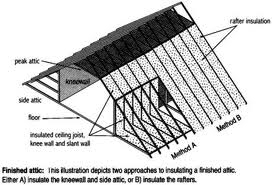 Is the thickness adequate to insulate the house and keep it comfortable? Is there venting in the kitchen, bathrooms, and laundry and does it function as designed? What type of framing was used and has any of the framing member been cut of damaged. Are the vents, flues and electrical wiring properly installed? A normal walk through cannot find or address all the components in a house unless it is specifically investigated. The average walk through is 15 to 30 minutes but a home inspection is usually 2 ½ to 3 ½ hours long. Consider your investment and get a quality home inspection. Call us today to schedule an appointment. Post © 2019 Chris Smith, South Simcoe, Caledon, King, Orangeville Real Esta (Re/Max Chay Realty Inc., Brokerage). Design © 2019 ActiveRain, Inc. All rights reserved, Inc.